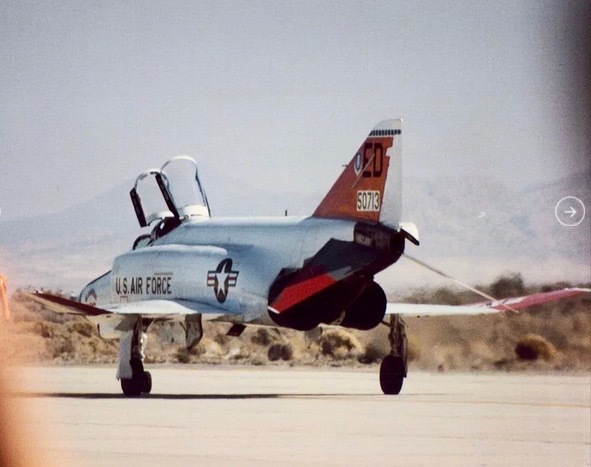 22 October 1955: At Edwards Air Force Base, in the high desert of southern California, Republic Aviation Corporation test pilot Russell M. (“Rusty”) Roth took the first of two prototype YF-105A-1-REs, serial number 54-098, for its first flight. Though equipped with an under-powered Pratt & Whitney J57-P-25 interim engine, the new airplane was able to reach Mach 1.2 in level flight. Aerodynamic improvements to the engine intakes and redesign of the fuselage to incorporate the drag-reducing “area rule,” along with the more powerful J75-P-5 turbojet engine allowed the production model F-105B to reach Mach 2.15. 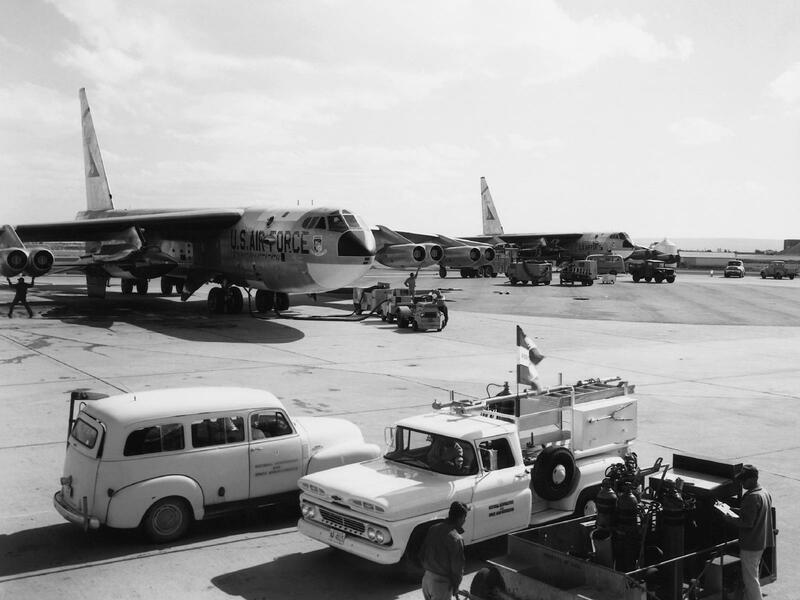 The Thunderchief is the largest single-place, single-engine aircraft ever built. It was a Mach 2 fighter-bomber, designed for NATO defensive tactical nuclear strikes with a nuclear bomb carried in an internal bomb bay. 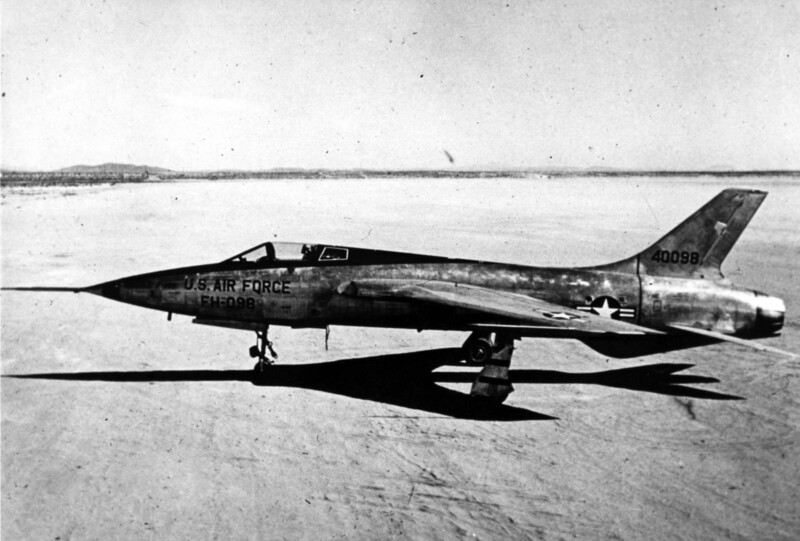 The YF-105A was 61 feet, 0 inches (18.593 meters) long, with a wing span of 34 feet, 11 inches (10.643 meters) and overall height of 17 feet, 6 inches (5.334 meters). Its empty weight was 20,454 pounds (9,277 kilograms) and the Maximum Takeoff Weight (MTOW) was 41,500 pounds (18,824 kilograms). The Pratt & Whitney Turbo Wasp JT3C (J57-P-25) was a two-spool axial-flow turbojet engine with a 16-stage compressor section (9 low- and 7 high-pressure stages) and a 3-stage turbine (1 high- and 2 low-pressure stages). The J57-P-25 had a Normal Power rating of 8,700 pounds of thrust (38.700 kilonewtons), and at Military Power produced 10,200 pounds of thrust (45.372 kilonewtons) (30-minute limit). 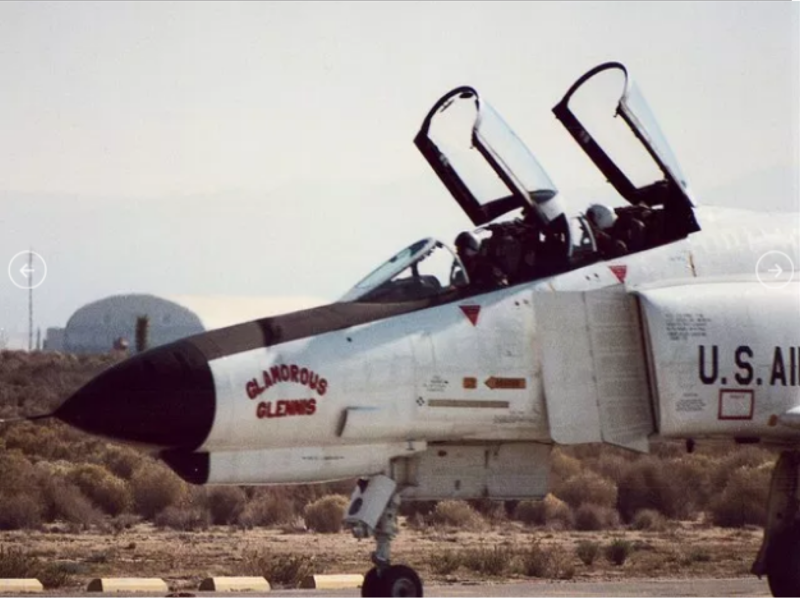 The Maximum Power rating was 16,000 pounds of thrust (71.172 kilonewtons) with afterburner (5-minute limit). The J57-P-25 was 22 feet, 3.1 inches (6.784 meters) long, 3 feet, 3.8 inches (1.011 meters) in diameter, and weighed 5,120 pounds (2,322 kilograms). 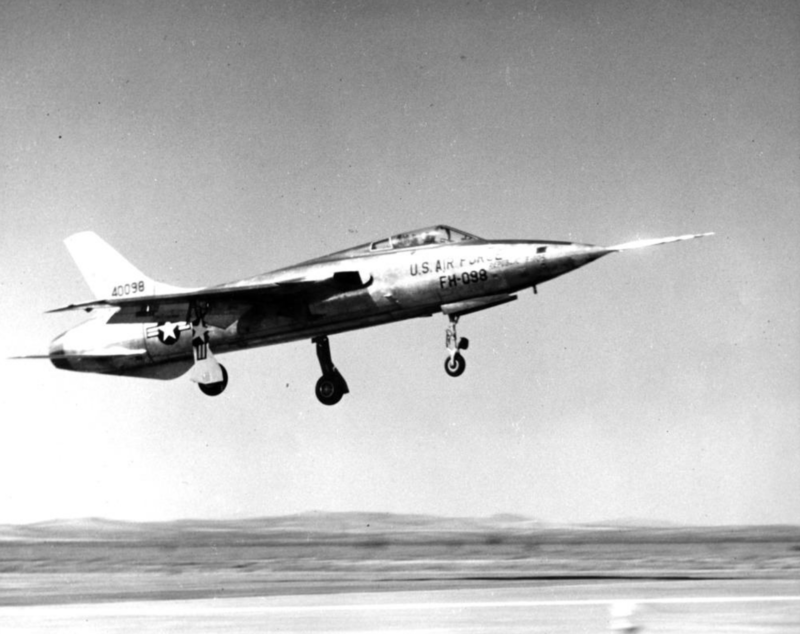 The YF-105A’s wings were swept 45° at 25% chord. The angle of incidence was 0° and there was no twist. The wings had 3° 30′ anhedral. The total wing area was 385 square feet (35.8 square meters). 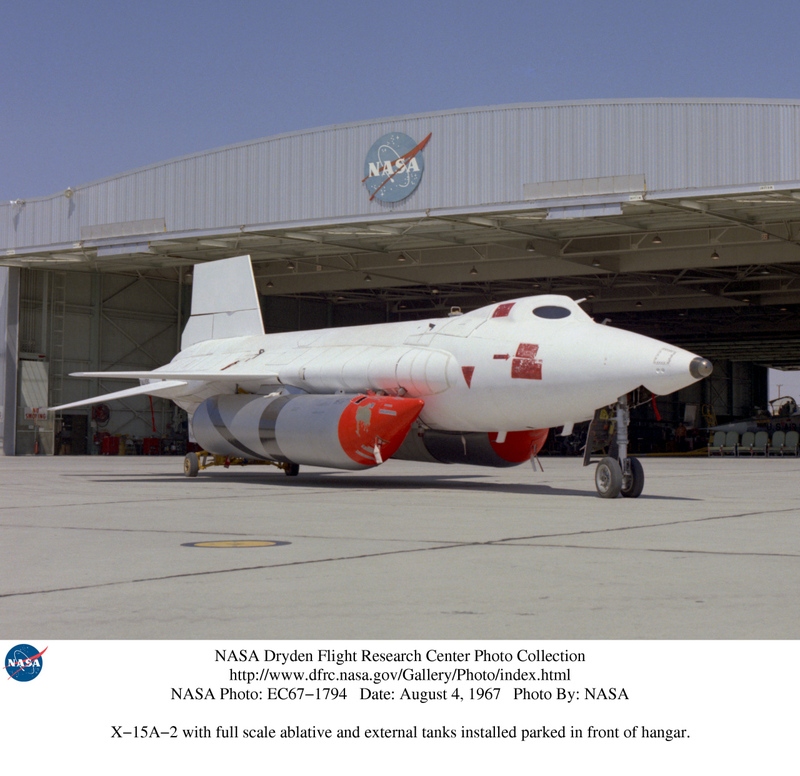 During testing, the prototype’s maximum speed was 770 knots (886 miles per hour (1,426 kilometers per hour) at 35,000 feet (10,668 meters)—Mach 1.34—and 676 knots (778 miles per hour/1,252 kilometers per hour) at Sea Level—Mach 1.02. The YF-105A’s service ceiling was 52,050 feet (15,865 meters). It’s combat radius was 950 nautical miles (1,093 statute miles/1,759 kilometers), and the maximum ferry range was 2,321 nautical miles (2,671 statute miles/4,298 kilometers). 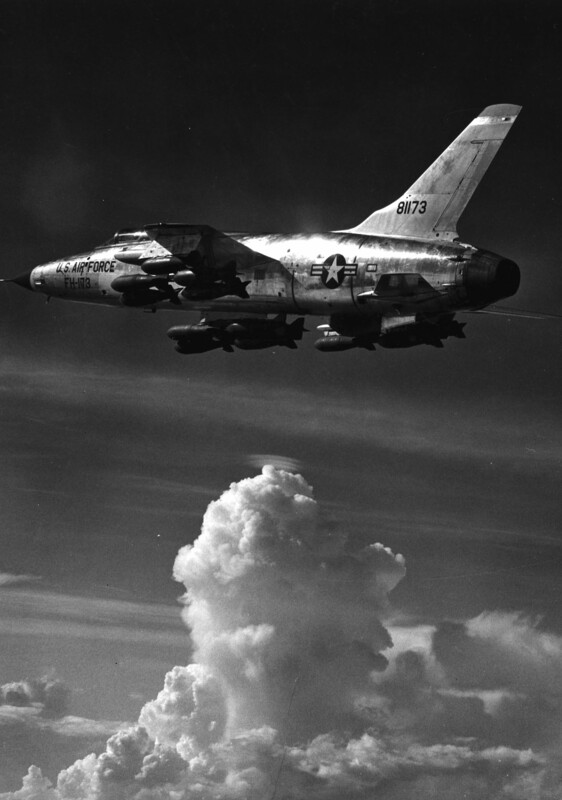 The Thunderchief was armed with a General Electric T171E2 (M61) 20 mm six-barrel rotary cannon with 1,030 rounds of ammunition. 8,000 pounds (3,629 kilograms) of bombs could be carried in an internal bomb bay or on external hardpoints. A single free-fall B28IN variable-yield thermonuclear bomb could be carried in the bomb bay. 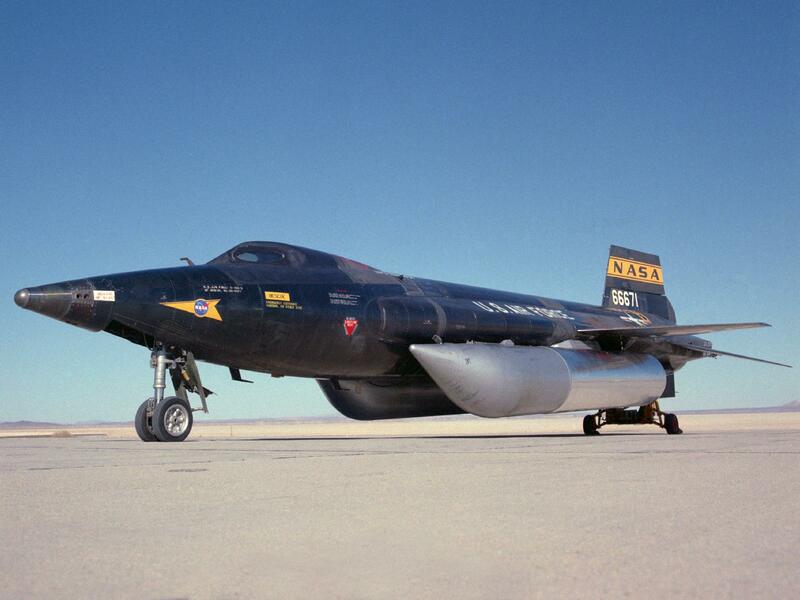 On 16 December 1955, YF-105A 54-098 made an emergency landing at Edwards AFB after one of its main landing gear assemblies was torn off when it failed to retract during a high speed flight. The pilot, Rusty Roth, was severely injured, but he survived. The prototype was shipped back to Republic for repair, but the cost was determined to be prohibitive. Though designed for air-to-ground attack missions, F-105s are officially credited with 27.5 victories in air combat. 833 Thunderchiefs were built by Republic between 1955 and 1964. 334 of those were lost to enemy action during the Vietnam War. 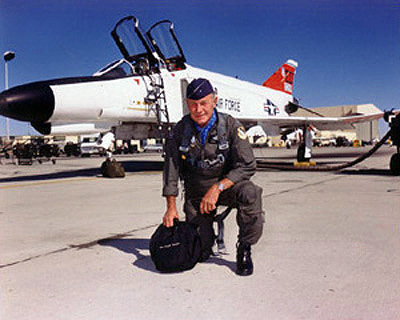 The F-105 remained in service with the United States Air Force until 1980, and with a few Air National Guard units until 1983. 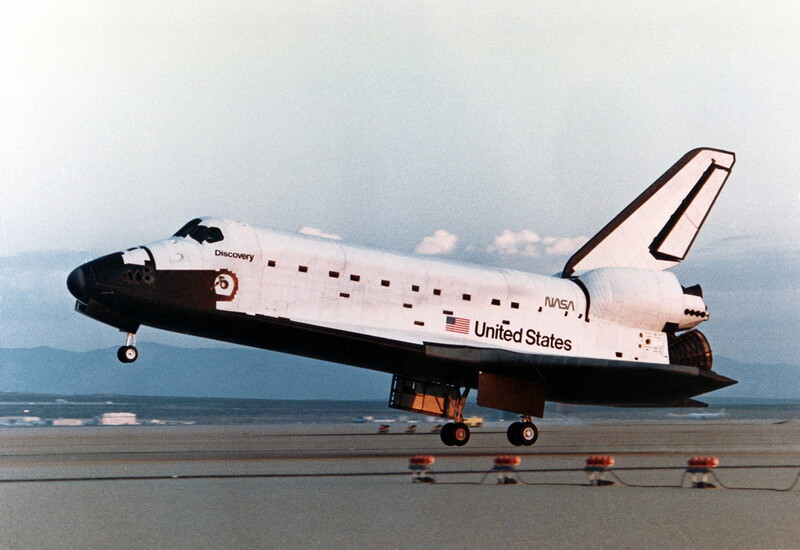 5 September 1984: Space Shuttle Discovery, OV-103, completed its first space flight, STS-41-D, when it landed at Edwards Air Force Base, California, at 6:37 a.m. PDT (13:37:54 UTC), 5 September 1984. It had completed 97 orbits of the Earth. The total duration of its flight was 6 days, 56 minutes, 4 seconds. The purpose of the mission was to place three communications satellites into orbit, and to deploy an experimental solar panel array. Various other experiments were also carried out. 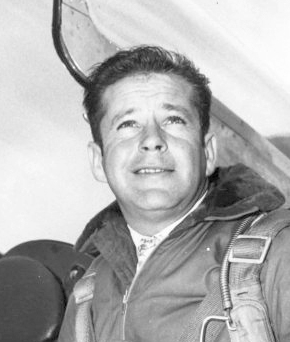 The Mission Commander was Henry W. Hartsfield, Jr., making his second space flight. 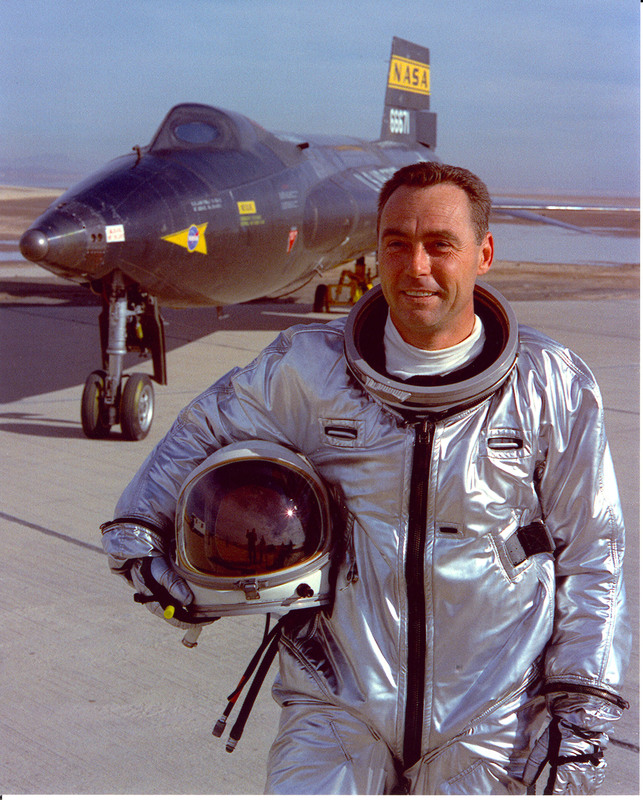 Shuttle Pilot Michael L. Coats was on his first. Three Mission Specialists, Richard M. Mullane, Steven A. Hawley, Judith A. Resnick, and Payload Specialist Charles D. Walker, were all on their first space flight. A highlight of this mission was the onboard filming by the crew of footage for the IMAX film, The Dream Is Alive. Discovery is the space shuttle fleet leader, having made 39 orbital flights, more than any other shuttle. Mission Specialist Judith Arlene Resnick was a crew member of shuttle mission STS-51-L. She was killed when Challenger was destroyed shortly after launch, 28 January 1986.